Only two indian films were selected for this year´s edition, "Don - The King is back" by Farhan Akhtar (in the Berlinale Special-section) and "Gattu" by Rajan Khosa (in the childrenfilm-section). There was a time when Indian films were screened regularly in Berlin during the festival. Anyway, it is a fact I am unable to change. This year I focused again on the Forum-section, the more or less only intact section of this film festival and ironically one of the first institutions outside of India which screened first time films by Ritwik Ghatak or Mirinal Sen more than 20 years ago. Even though the Berlin-specific amnesia concerning Indian art cinema became as well in the last 10 years a problem of the Forum. The last masterpieces by Rituparno Ghosh, Goutam Ghose and especially Aparna Sen remain undiscovered by German and most of European audience. Just a few days before the festival began, all news reminded in the 80th. anniversary of French director François Truffaut on February 6 and just a few remembered this day as the death anniversary of Ritwik Ghatak whose premature death belongs to the worst tragedies Asian cinema has ever seen. As the Berlin filmfestival is n´t anymore the festival of the greatest international directors like Malick or Kiarostami, it is still the Forum where you can discover films you don´t find neither in other festival sections nor in other festivals at all. One of the highlights was a mini-retrospective on the Golden Age of Cambodian cinema from 1960 -- 1975, the year when the Red Khmer almost destroyed a whole civilization. If you see this film, a mixture between fantasy, musical, action and melodrama it is hard to bear that every actor and every actress you see on the screen is either killed and buried anonymously or has escaped Cambodia. The same goes for a big part of the audience which loved and enjoyed these films. Just about 30 films in more or less bad quality and a collection of photos and songs survived. "Golden Slumber", a documentary by young Cambodian Davy Chou is a reconstruction of these short and young film history of Cambodian cinema which ended with the tragedy of the Red Khmer terror. Davy Chou, a very young film maker made a very wise film against the amnesia. "No Man´´s Zone" by Japanese Toshi Fujiwara is a subtle and reflexive meditation on the aftermath of the nuclear disaster of Fukushima. Fujiwara created an authentic document without any speculative sensational effects and he focuses on the people. The most remarkable film was the first fiction film by Yang Yonghi "Our Homeland". 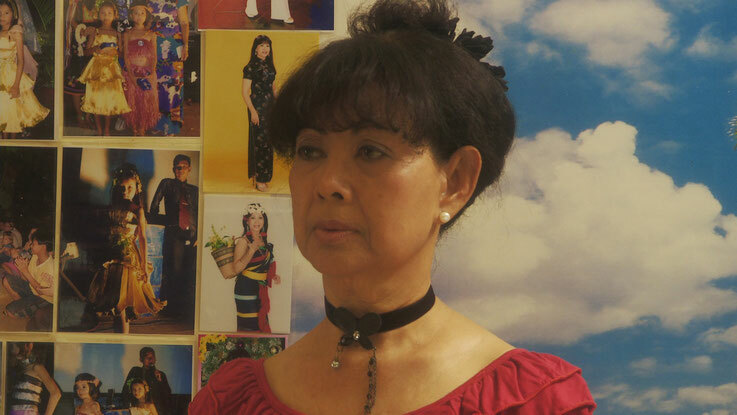 Yang, a Korean woman born into a family of Korean immigrants living in Japan is known for her excellent documentaries "Dear Pyongyang" and Goodbye Pyongyang" (by far some rare masterpieces among documentaries in the last 10 years at all) tells in another form about the partition of her country in an explicit autobiographical way. Her films are as heart breaking like Ritwik Ghatak´s refugee-trilogy. The basic story for all of her films is the "return" of Koreans to their "homeland" Northern Korea. Caused by discrimination in the Japanese society and despite the fact that most Koreans living in Japan came actually from the South, Northern Korea was in the 1970s the most promising part of Korea for them (don´t forget that South Korea was at that time stuck in a military dictature). Yangs father sent her three young brothers to North Korea where they never will be able to return from. Yangs films connect personal with historic tragedy like Ghatak did it with the partition of Bengal. If there once will be established a "Ritwik Ghatak-Award", Yang Yonghi must be the first one who will be awarded. The retrospective in this year "The Red Dream Factory" was dedicated to russian revolutionary films from the 1920s and 1930s, made in collaboration with Germany until 1933. This year´s homage was dedicated to Meryl Streep. Among the films they screened here was Clint Eastwood´s masterpiece "The Bridges of Madison County" with one of her finest performances. It is always hard to overlook the whole program. If you are not focused on a big film festival you are lost. The irony is that a lot of people, (myself included) considered once festivals as the biggest resistance against the decay of a cinema culture. 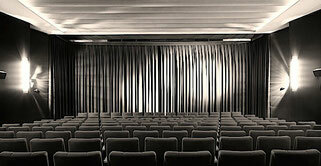 As a matter of fact, Berlin has dramatic problems with an infra structure of cinema halls. The competition and the Berlinale Special takes place in halls which can hardly considered as film theaters. These are musical halls, stage halls almost unsuitable for film screenings. At least three architectonic masterpieces of cinema halls were closed and demolished in the last 15 years, among that a hall with the biggest screen of the world. To enjoy such a festival means to focus on the films you want to see. To think to deeply about the future of the Berlin Filmfestival as well as about the future of the cinema culture evokes just very pessimistic ideas.